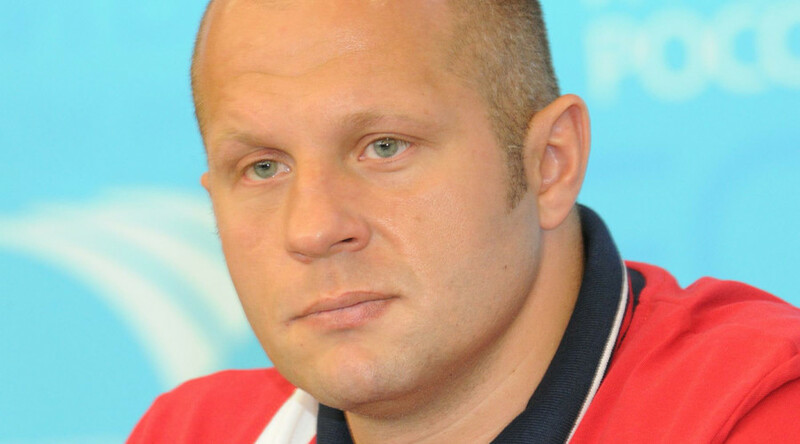 The much anticipated bout between Russian MMA legend Fedor Emelianenko and American Matt Mitrione has been scratched from the Bellator 172 event, just hours before the fight, due to Mitrione falling ill.
Bellator president Scott Coker delivered a blow to all MMA fans when he announced the news on Twitter, but he added that the show won't be canceled, instead Josh Thompson versus Patricky 'Pitbull' Freire will be promoted to the main event. Due to illness, @mattmitrione will be unable to compete tonight at #Bellator172. @THEREALPUNK vs @PatrickyPitbull promoted to main event. Emilianenko also took to social media to confirm the news, adding that Mitirione had to be hospitalized. "I prepared fully for this fight, but unfortunately it will not happen tonight. I wish Matt a speedy recovery. Our fight will be postponed for a few months to make sure of that. Thanks to everyone who helped me to prepare, those who prayed and were rooting for me. Praise be to God for everything!" Following a 5-year hiatus from fighting on American soil, Emelianenko signed a multi-fight contract with Bellator last November. Mitrione was announced as Emelianenko's first opponent with the promotion at the Bellator 165 event in San Jose, California. “I’m honored; I’m so excited as a fighter,” the American veteran said during the show. The 38-year-old Mitrione was part of UFC from 2009 until 2016, and recorded nine wins and five loses fighting with the promotion. Following two losses in 2015 and 2016, the Indianapolis native moved to Bellator, where he notched two KO victories in 2016.